Courtesy of ScHoolboy Q’s TwitterScHoolboy Q has released a new single, titled “Break the Bank,” and two covers for his upcoming TDE debut album, Oxymoron, which is set to arrive next month. 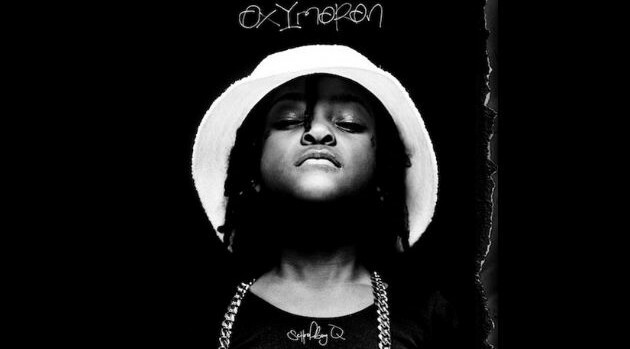 “Pre order #OXYmoron now!!!!!!!! U may get sumtHin special….” he tweeted before adding that the set will be available February 25. The 15-track standard version will include the Kendrick Lamar-assisted single “Collard Greens” and his newest offering “Man of the Year,” while the deluxe set features two additional songs. The rapper’s disc boasts collaborations from J. Cole, 2 Chainz, Snoop Dogg, A$AP Rocky, Raekwon and Tyler, the Creator, among others. It serves as the follow-up to his 2012 LP Habits & Contradictions.